Finally, it may be possible for regular folks to find their own Dory. 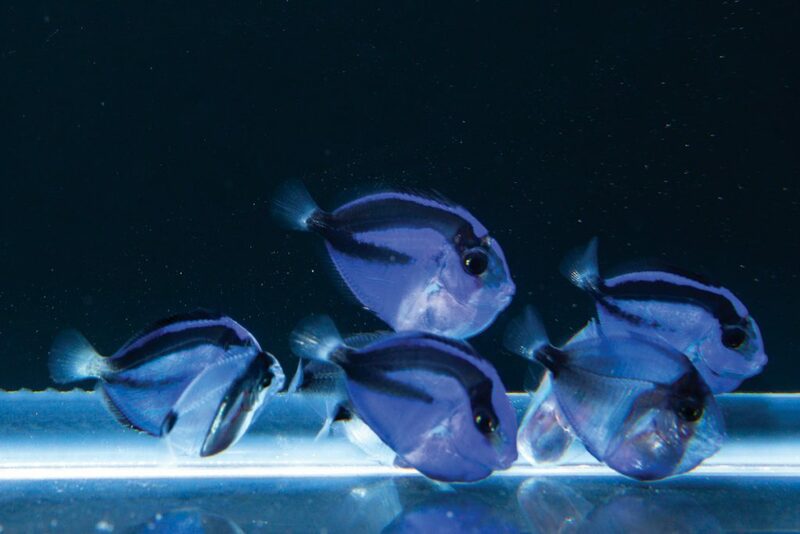 Researchers with the University of Florida Tropical Aquaculture Laboratory in Ruskin have for the first time successfully raised in captivity the Pacific blue tang, the colorful star of Disney’s “Finding Dory.” The breakthrough means aquarium hobbyists and marine life exhibits may soon have a source for blue tangs that doesn’t rely on wild captured fish. “We worked with Rising Tide Conservation and the SeaWorld-Busch Gardens Conservation Fund to find a way to successfully breed Pacific blue tangs. It was a delicate, time-intensive endeavor, but one that has paid off,” said lab director Craig Watson. The project began about six years ago, when Watson was approached by Judy St. Leger from Rising Tide Conservation. The program’s primary goal is to develop production technologies for key marine ornamental species, including Pacific blue tang, he said. Over the next six years, Rising Tide Conservation assembled a team of scientists from the Tropical Aquaculture Laboratory, the Indian River Research and Education Center and the Oceanic Institute of Hawaii Pacific University to get the fish to survive past a week. The scientists placed newly hatched Pacific blue tang — which are just over 1 millimeter long, transparent and have no eyes or mouth – in a tank for three days while the fish larvae absorbed their yolk. The survival rate to day four reached as high as 80 percent, Watson said. “We were very excited to get past that first crucial stage,” he said. But in the past, the fish ultimately would die before the week was out. “The best we achieved was to get a single blue tang to survive 21 days post hatch,” Watson said. In late 2015, Chad Callan and his team in Hawaii successfully raised the first yellow tangs. UF sent biologist Kevin Barden to see first-hand how the Hawaii team reached success, Watson said. Barden returned to UF and worked with colleagues Eric Cassiano, Matthew DiMaggio and Cortney Ohs to devise a strategy to replicate the procedures done in Hawaii. In May, just weeks before “Finding Dory” hit movie theaters nationwide, the researchers started a run at raising the first ever captive-bred Pacific blue tangs.